The Ohio Department of Health has declared a statewide outbreak of hepatitis A. Outbreaks are occurring in several states, including the nearby states of Indiana, Kentucky, Michigan and West Virginia. QUESTION: I just heard about a recent health warning advising people who had visited a central Ohio restaurant last month to get a hepatitis A vaccine. What is hepatitis A, and why would people who were at the restaurant need a vaccine? ANSWER: Hepatitis A is a highly contagious virus that infects a person’s liver. It can be spread through close contact with a person who has hepatitis A or by eating food prepared by a person with hepatitis A. The recent warning concerns consumers who patronized Fuzzy’s Taco Shop, 479 N. High St. in Columbus, Ohio, Jan. 1–16 of this year. Columbus Public Health issued the warning after a person who had direct contact with food at the restaurant was diagnosed with hepatitis A. According to Columbus Public Health, consumers who ate at the restaurant Jan. 1–16 are encouraged to get a hepatitis A vaccine as soon as possible. The agency also said that those same consumers should watch for symptoms of hepatitis A. According to information from the Champaign Health District, there are 6 cases of hepatitis A (2 of which are outbreak-related). In addition, 2 more cases are suspected in Champaign County. Madison County has 2 cases (1 outbreak-related) and 6 suspected cases. Union County has 2 cases (1 outbreak related) and 6 suspected. 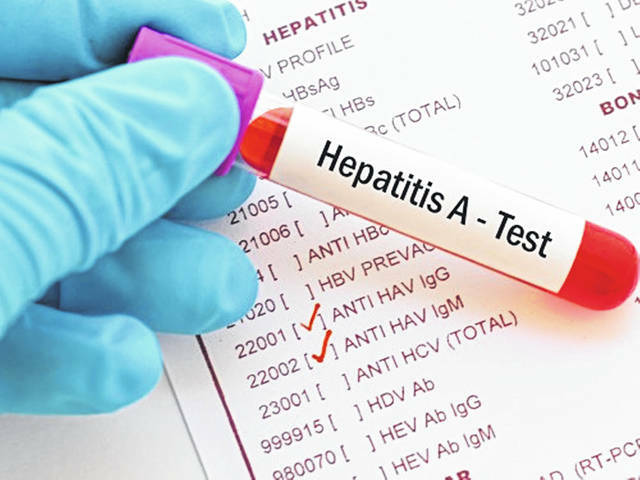 As of Feb. 4, 2019, the Ohio Department of Health reported 1,595 outbreak cases of hepatitis A across 67 counties in Ohio (76 percent of counties). Of these cases, 63 percent have been hospitalized and there have been 5 deaths.